A key underpinning feature of the Financial & Investment Plan...is quality-constrained growth in the face of global competition for high-achieving students, academic staff and research funding. 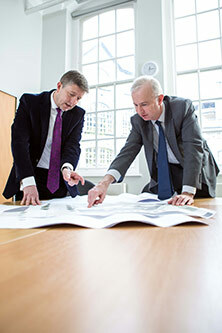 Read about the key areas of planning for City's Vision & Strategy 2026. A key underpinning feature of the Financial and Investment Plan over the next five years is quality-constrained growth in the face of global competition for high achieving students, academic staff and research funding. Nevertheless, we believe we have the chance to grow student numbers and that the UK’s new place in the world will provide opportunities as well as tremendous challenges. This is important, not least because by 2020/21 City’s HEFCE funding will be less than 7% of total revenues and Vision & Strategy 2026 assumes that City will remain a publicly-funded body. Our expectations are focused towards undergraduate growth, with more modest increases in postgraduate taught numbers. In particular, there are opportunities for growth in Cass Business School, The City Law School and the School of Arts & Social Sciences. Growth will be compatible with City’s continuing commitment to academic excellence in all aspects of its activity. In relation to financial sustainability and broader questions around the shape and nature of City within the University of London, there is also the possibility of future growth through strategic partnerships, joint ventures or a more permanent merger. 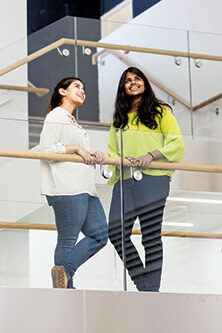 Having just joined the University of London, City is confident about its future as the capital’s leading global university for business and the professions, combining world class research and educational excellence and with the University of London’s unique contribution to learning and research-led scholarship through its network of learning institutions. Major new capital investment takes time to reach full utilisation and a theme of the Supporting Strategies and School Strategic Plans is realising the benefits of City’s significant investment. This will be achieved partly through the improvements to staff performance management set out in the People Strategy, including strict and universal adherence to a clear annual timetable of appraisal for academic and Professional Services staff. Appraisal standards and quality will be moderated locally. It is likely that increasing efficiency, productivity and effectiveness of higher education will be necessary across the sector including at City. Delivering an operating surplus of almost 5% in 2015/16 and a similar level in 2016/17 is a significant, positive change for City’s finances and will enable continued investment during the next five year planning period. The development of the Vision & Strategy 2026 has allowed sufficient time to plan, set and deliver achievable targets for increased contributions from Schools and cost savings from Professional Services. A financially strong institution, able to deliver the change required to provide a strong base for City’s future, is a key theme of our Vision & Strategy 2026. This firm aspiration must be seen against a challenging external financial environment, one which will see an increase in employers’ pension and National Insurance contributions from 2016/17 and a 0.5% levy on large employers’ turnovers to fund apprenticeships. A decline in NHS spending on education with a move from bursaries to loans for health students. City’s Financial & Investment Plan demonstrates that it is financially sustainable. Sustainability rests on City’s ability to generate sufficient cash and surpluses that allow it to operate both its day-to-day activities and deliver its strategic investment objectives and plans. This requires minimum annual surpluses of 5% to 8% of income and targets minimum year-end cash reserves of 45 days of operating expenditure throughout the planning period. The increased surpluses are required to service the costs and cash flow impacts of any long term borrowing and investment. These targets allow City to establish a position that is firmly in line with the higher education sector and will enable us to access borrowed funds for investment that will support and enable our growth plans. City’s Financial & Investment Plan is informed by the overall Vision & Strategy 2026. Individual investment plans will be based on the priorities identified within the Supporting Strategies and School Strategic Plans and balanced against affordability. Part of this will focus on improving processes and continuing to increase institutional coordination. There are further significant efficiency and transformation programmes already in the pipeline for City concerning its research and enterprise support and across student and academic services. Over the period of the Strategic Plan 2012 to 2016, City invested approximately £150M in staff, information technology, libraries and the estate. The new, breathtaking exterior and entrance to the main campus on Northampton Square now match the refurbished spaces in the basement areas. Developments elsewhere have transformed City and the student and staff experience. 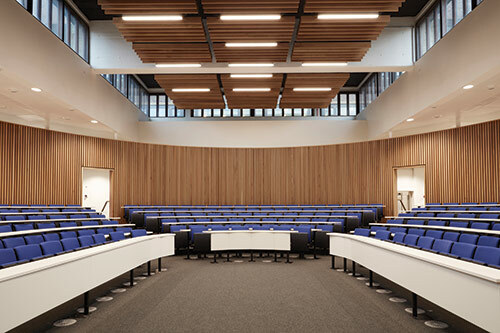 The Financial & Investment Plan that underpins the Vision & Strategy 2026 sets out an equally exciting programme of investment for the future in new educational and research space for students and staff. Development will focus on our areas of growth in Cass, Law and Arts & Social Sciences but everyone will benefit from the creation of a high quality estate and our visible commitment to the local area. We started building next-generation learning spaces as part of the estate programme from the Strategic Plan 2012 to 2016 to support education and provide space for our increasingly research intensive institution. We will continue to invest in responsive learning environments, characterised by formal and informal learning spaces and collaborative learning in line with the Education & Student Strategy. The highest sustainability standards will underpin our estate development programme. This will build on our achievement of ISO 14001 certification for City’s environmental management system and planning and we will take a range of actions to support our commitment to embedding sustainability across City’s estate activities. City is committed to embedding sustainability across its activities to play a leading role in promoting sustainability both locally and globally. The aim is to fulfil this not only by reducing our own carbon emissions and ensuring that our facilities are built to the highest sustainability standards but also through a commitment to behaviour change and education for sustainable development.